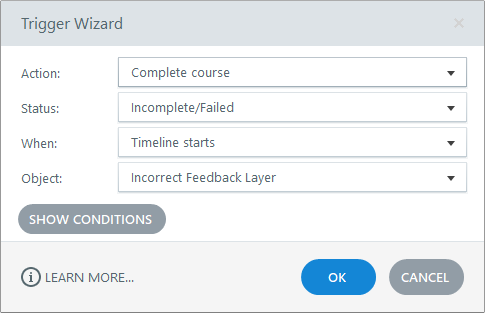 The course completion trigger is a feature that is exclusive to Storyline 360. Storyline 3 users can open Storyline 360 project files that have course completion triggers. And you can track Storyline 3 courses using those completion triggers. However, you can’t edit the status for existing completion triggers (as shown below) or create new completion triggers in Storyline 3.